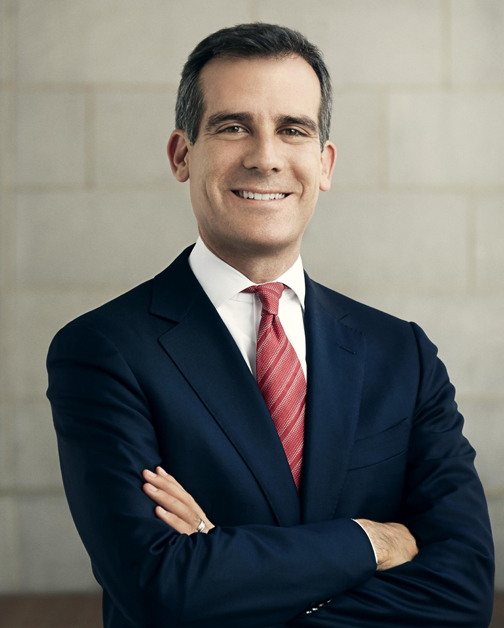 Mayor Garcetti and community partners gathered at John C. Fremont High School recently to launch the “Investing in Working Families” Campaign, which aims to promote state and federal programs that are under-utilized by Los Angeles working families. This event will kick-off the tax and financial aid filing season. Over 60 sites throughout Los Angeles opened their doors February 1 to help Angelenos collect the Earned Income Tax Credit, file tax returns for free, apply for student financial aid, help undocumented students apply for Deferred Action, connect unbanked individuals to low-cost checking and savings accounts, and help people enroll in health care. During tax season, each of the 21 FamilySource centers throughout the city are designated Volunteer Income Tax Assistance — or VITA — sites. Supported by the (Earned Income Tax Credit) EITC partnership, VITA sites provide families with free tax assistance and help them apply for tax credits. These sites also offer asset-building programs that include financial education and resources to help families open low-cost bank accounts. For 2014 (the 2013 tax year), the EITC can offer refunds up to $6,143 for low and moderate-income families with three or more children - a figure equal to nearly two months of income for many hardworking but needy households. To qualify for EITC services and tax credits, claimants must be qualified working U.S. citizens and legal residents with Social Security number who have lived in the US for more than half the year. For more information and to find one of the sites, individuals and working families can call 2-1-1 or visit the EITC Partnership’s web site at www.FreeTaxHelpLA.com.